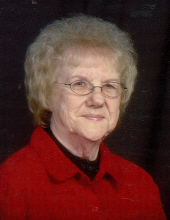 Kathryn “Kate” Phegley, 91, of Shelbyville, IL passed away at 2:35 a.m. on Monday, April 15, 2019 at HSHS Good Shepherd Hospital in Shelbyville, IL. Kate was born October 23, 1927, in Shelbyville, the daughter of Charles and Agnes (Hudson) Alday. Kate and Jack Adrian Phegley were united in marriage on June 7, 1947 and he preceded her in death on June 11, 1980. Kate worked at Sta-Rite Ginnie Lou for many years and retired from International Paper, now known as Graphic Packaging. She was a long-time member of the First Baptist Church in Shelbyville and treasured time spent with her family. Surviving are daughter, Debbie (Mike) Maretti of Decatur; son, Brad (Shelly Weber) Phegley of Windsor; daughter-in-law, Barb Phegley of Shelbyville; five grandchildren; 12 great-grandchildren and sister, Marjorie (Phillip) Strohl of Shelbyville. Preceding her in death were her parents, Charles and Agnes Alday; husband, Jack Adrian Phegley; son, Jack Alan Phegley, brother, Charles LeRoy (Rosemary) Alday and sister, Lavonne (Gene) Sinkler. Funeral services will be held at 1:00 p.m. on Monday, April 22, 2019 at the Lockart-Green Funeral Home in Shelbyville with Pastor Tim Yankee officiating. Burial will take place in Glenwood Cemetery. Visitation will be from 11:00 a.m. until the time of service at Lockart-Green Funeral Home in Shelbyville. Memorials may be made in Kate’s name to the First Baptist Church in Shelbyville. Family and friends are invited to light a candle or share a story in Kate’s honor at www.lockartgreenfuneralhome.com. To send flowers or a remembrance gift to the family of Kathryn "Kate" Phegley, please visit our Tribute Store. Guaranteed delivery before Kathryn's service begins. "Email Address" would like to share the life celebration of Kathryn "Kate" Phegley. Click on the "link" to go to share a favorite memory or leave a condolence message for the family.